The voting process for the 2018 Women in Poker Hall of Fame has come to an end with 11 women nominated for induction. Lupe Soto and Maria Ho have been selected to join the 17 individuals who are currently Hall of Fame members. The Women in Poker Hall of Fame was started back in 2008 and will be adding two more to their numbers on June 26th at the Orleans Casino in Las Vegas. Inductee Lupe Soto has long been a supporter of women in poker, starting her efforts by founding an online poker forum for women in 2002, the first of its kind. By 2004, Soto had created the Ladies International Poker Series, known as LIPS, and then started the Hall of Fame to have a way of honoring women who have been influential within the game. Soto currently woks as the CEO of the Senior Poker Tour as well as the Women’s Poker Association Founder & Executive Director. Maria Ho is the second inductee set to be in the Women of Poker Hall of Fame. 2018 is the first year that Maria is eligible for nomination and it is no surprise she was chosen for induction. Maria has had a successful poker career as well as become well-known as a television personality within the game. She also acts as a poker ambassador and host/commentator for the game. The poker pro is currently 10th on the female all-time money list on Hendon Mob and has amassed more than $2.7 million in earnings. Within the female GPI world rankings, Maria is currently in the 4th position. 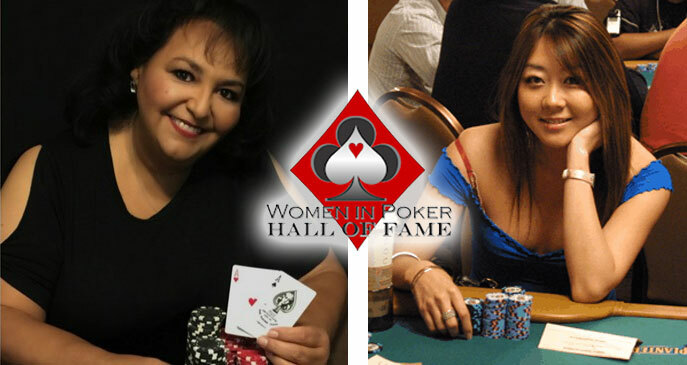 Both Maria and Lupe will be inducted into the Women in Poker Hall of Fame during a Luncheon Celebration & Induction on the 26th of June. Sponsors for the event include PokerStars and 888poker as well as Helping Hands and Card Player Cruises.